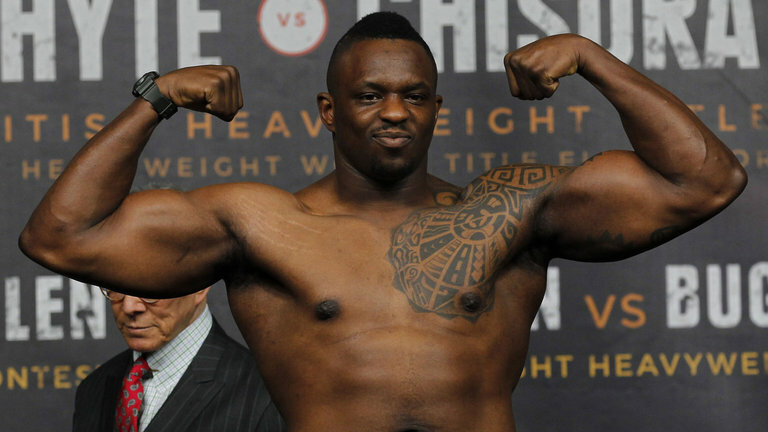 WBC number one heavyweight contender Dillian Whyte 23-1 (17) has dismissed the boxing ability of WBC champion Deontay Wilder 40-0 (39). The 29-year-old Jamaican-born London-based Whyte, who knocked out Australian contender Lucas Browne is six one-sided rounds at London’s O2 Arena on Saturday night, believes he has the skills to exploit the 6-foot-7 American’s limited technique. Whyte wants the fight with Wilder to take place at the O2 Arena in London, where he says he will be able to pack out the venue and guarantee the champion a career-high purse. Earlier this month Wilder despatched Cuban southpaw Luis Ortiz in 10 rounds at the Barclay Center in Brooklyn, New York. For that fight Wilder earned $USD2.1 million to the challenger’s $USD500,000. The two outspoken heavyweights are expected to come face-to-face at the weekend with Wilder and Whyte both scheduled to appear ringside for the upcoming heavyweight unification bout between Britain’s Anthony Joshua and New Zealand’s Joseph Parker at Principality Stadium in Cardiff, Wales next Saturday night. While the boxing world is clamouring for a fight between Wilder and the winner of Joshua versus Parker, a Wilder-Whyte bout wouldn’t be a bad consolation prize.